Old Bedford Village welcomes you to discover America's history. Our living history village brings the past into the present. Old Bedford Village offers a rich variety of educational and entertainment activities. Visitors of all ages will enjoy our military and civilian re-enactments, colonial crafts, exhibits and instructions, festivals, murder/mystery evenings, old fashioned Christmas celebrations and more! Thursday - Sunday 9 AM to 5 PM. 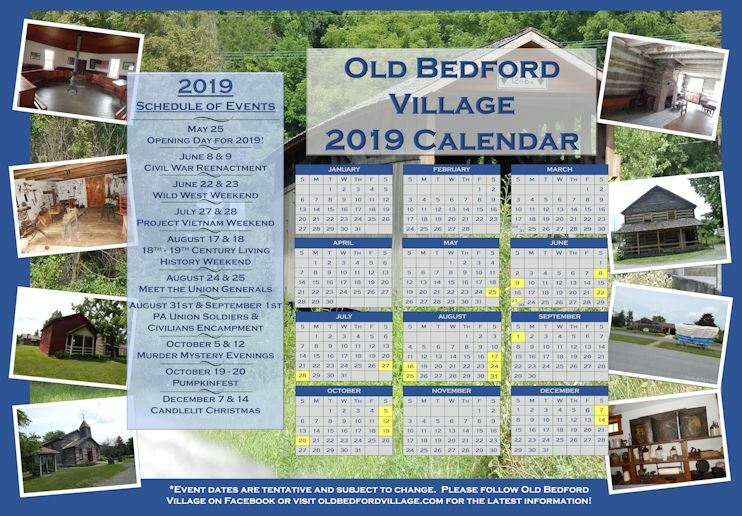 Old Bedford Village will be closed for the winter season except for special events.